Whether you are a diabetic like my husband, or just wanting to enjoy a dessert with less sugar, this apple pie recipe will let you enjoy a scrumptious sweet treat without all the refined sugar. 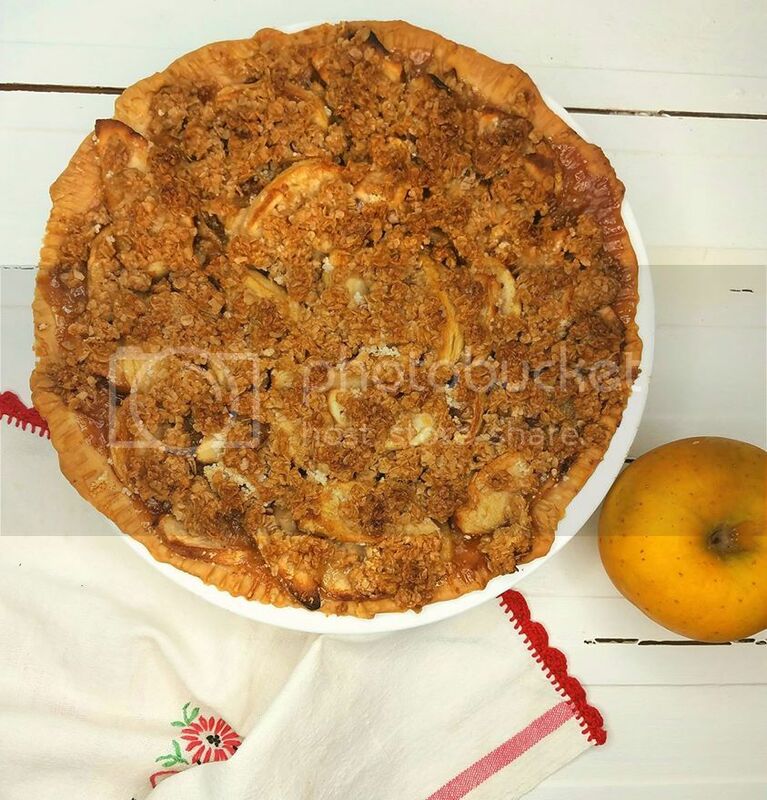 Since the apples play the starring role in this pie, and not the sugar, the choice of apples is critical! Don't forget to enter the Giveaway at the end of this post! to see the full list of prizes being given away see the welcome post. 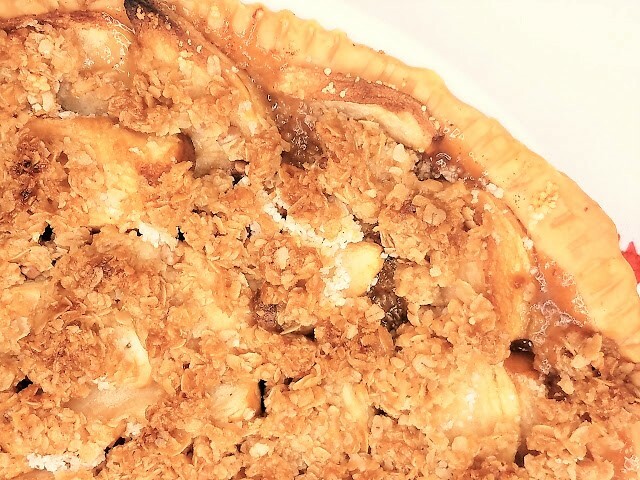 Envy Brand Jazz Apples are the perfect apples for this pie. Sweet, Crisp, and perfect for both eating and baking!They really hold up well in this pie and do not "Mush up" to much in the baking process. I mean, who wants to slice into an "applesauce" pie? This recipe does have a little brown sugar in the "splenda' brown sugar mixture for the crumble topping. This is a mixture of sugar free and real brown sugar, but this is the only added sugar in the entire recipe. My husband prefers this for his birthday cake. He has a September birthday, so with Apples in season, this makes it an easy "cake" to make him! 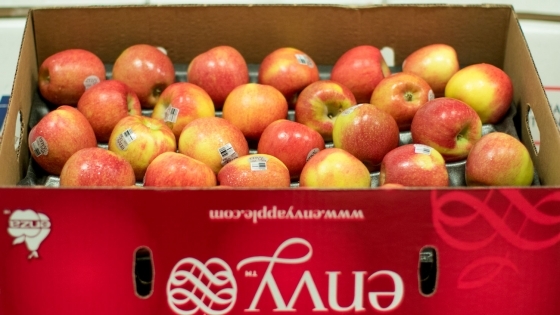 Sweetener to the Apple? I do not add any extra sugar substitute or sweetener to my apples. I just let the apples be sweet enough on their own. Especially when I use my favorite.. 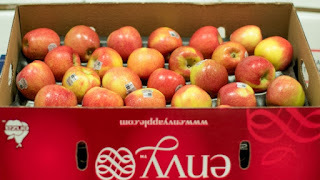 Envy Brand, Honeycrisp. , but feel free to sprinkle in any sugar substitute or even drizzle in some honey to your apples if you prefer a bit of extra sweetness. The Crumble topping provides enough extra sweetness for my hubby. Baking Time: My oven seems to require at least 75 min to get my apples to tender, sometimes even a bit longer, but i start checking at about 50 minutes. by poking into the pie wth a fork and see if they are "fork" tender. 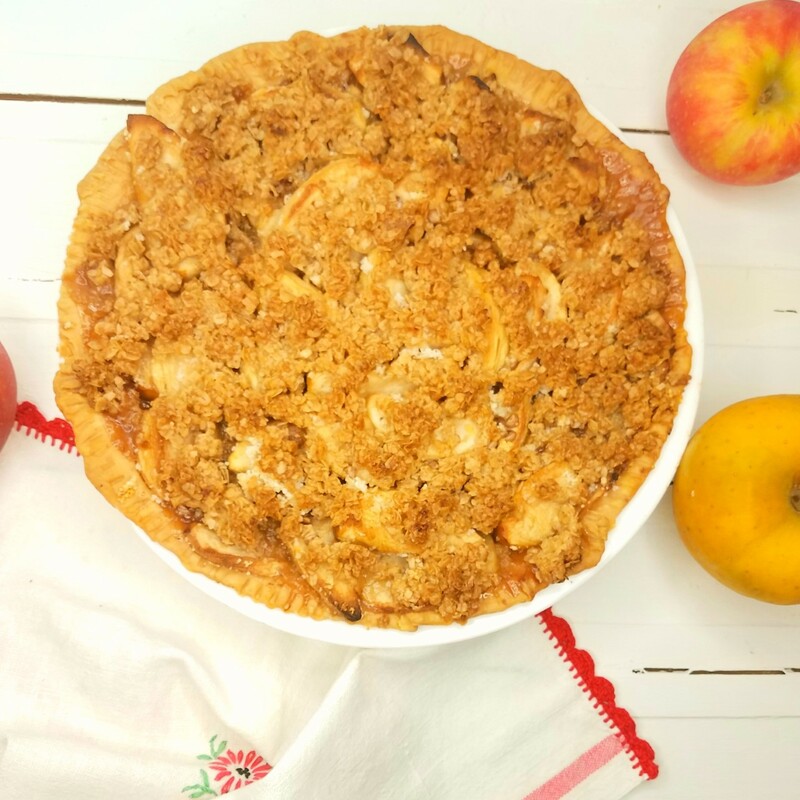 A diabetic friendly dessert that has all the flavor of an autumn apple pie with a wonderful crumble topping! Preheat oven to 350 degree's. Line 9 inch pie plate with prepared pie crustIn large mixing bowl add sliced, peeled apples.Sprinkle tapioca powder over apples.Sprinkle cinnamon and nutmed over apples. Stir to combine all ingredients well.Pour apple slices into pie crust, arranging slices to fit and pile high as needed. (They'll shrink and settle with baking)In small bowl, combine butter, oats, and brown sugar. Mix until well blended.Sprinkle small "plops" of the oatmeal topping all over the apples, making sure to cover evenly.Bake 60- 75 minutes till apples are cooked through and tender. 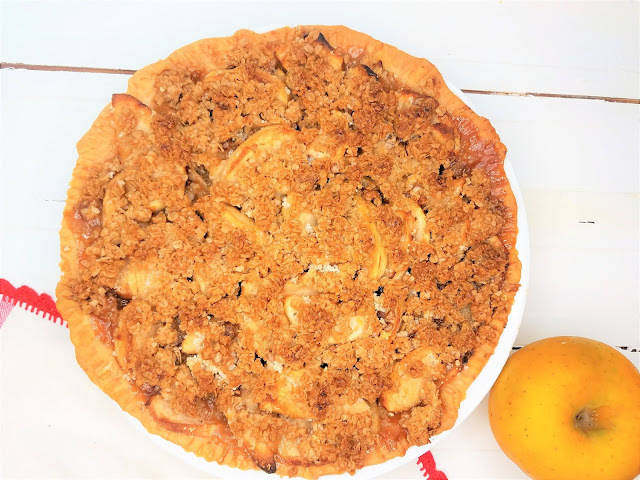 This sounds delicious and I love how you made this recipe so your husband could enjoy his birthday pie :) Happy Apple Week! I always like having recipes in my file that are able to be served to guests with special dietary needs. Thanks for sharing. What a lovely birthday cake for your hubby! It is nice to have recipes that don't have so much added sugar.